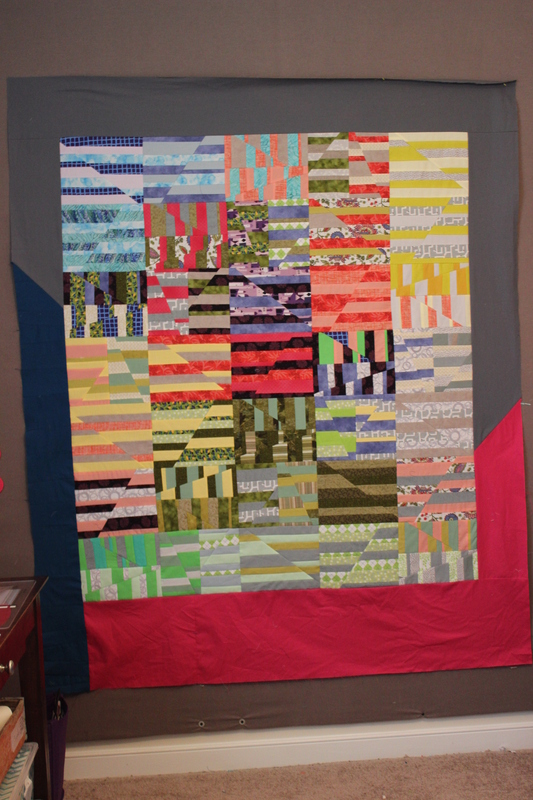 I finished my Aerial quilt top, pattern by Carolyn Friedlander. 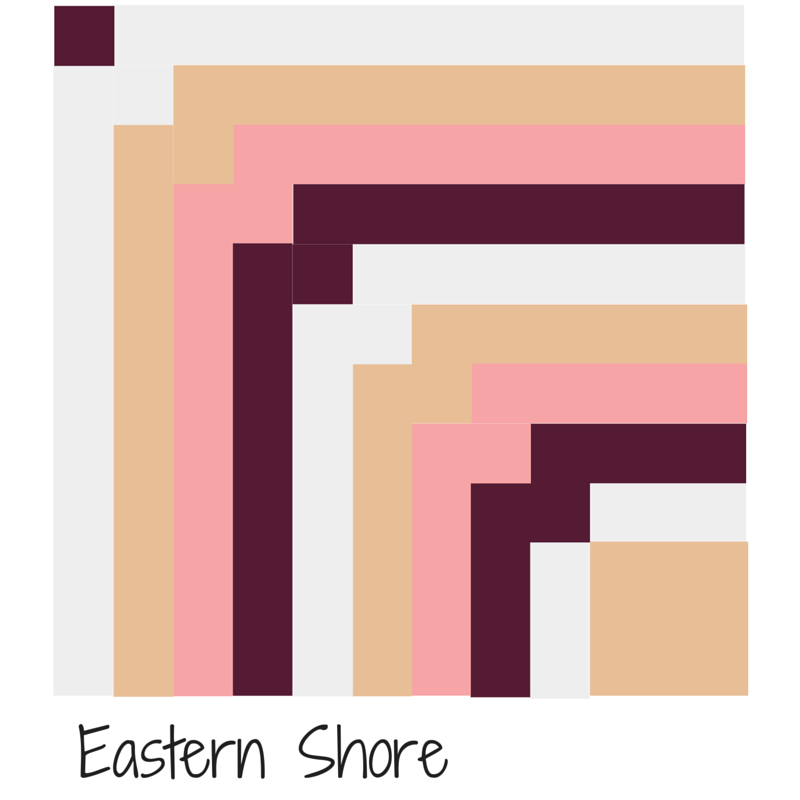 I endeavor to quilt this on my machine, rather than hand quilting it. 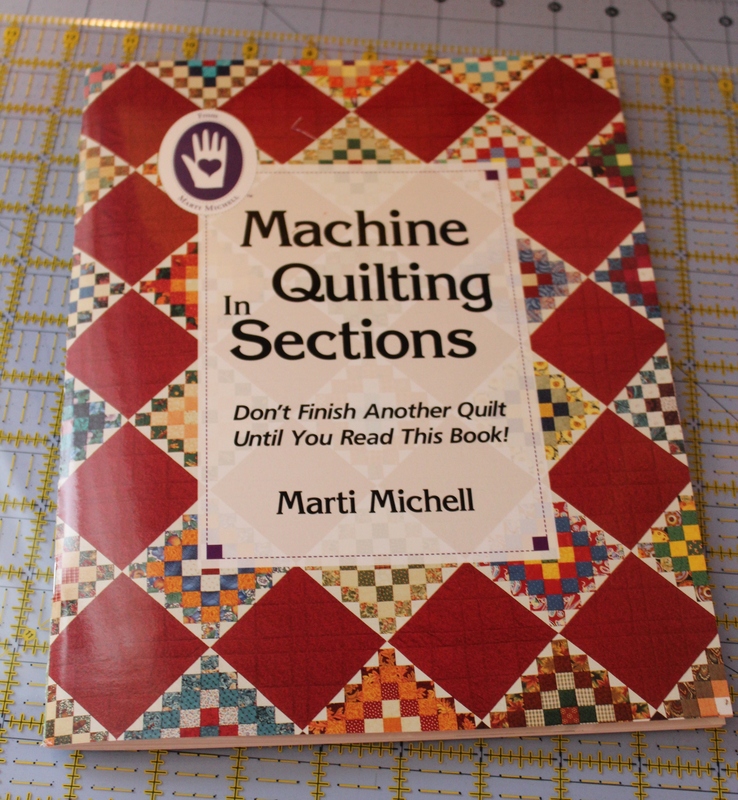 I purchased the book, Machine Quilting in Sections. 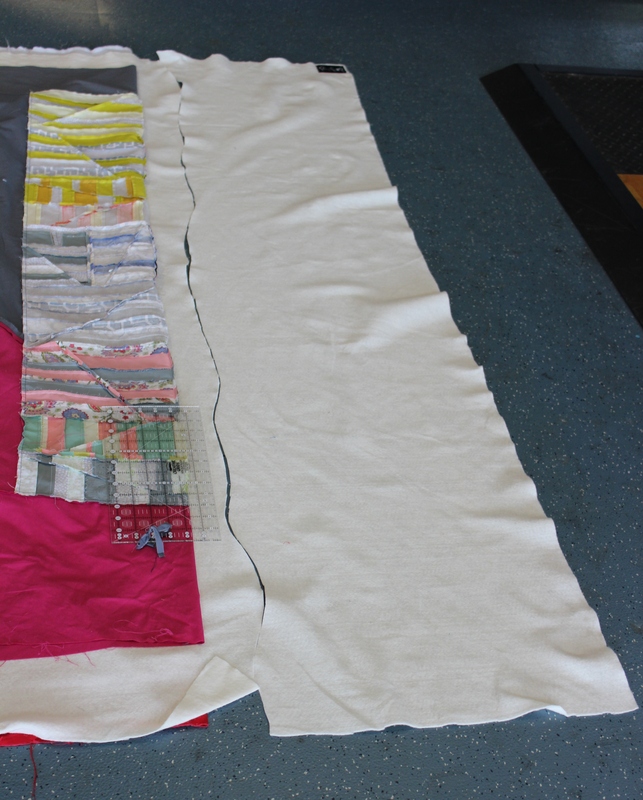 Don’t Finish Another Quilt Until You Read This Book, to learn how to reduce the bulk of the quilt. 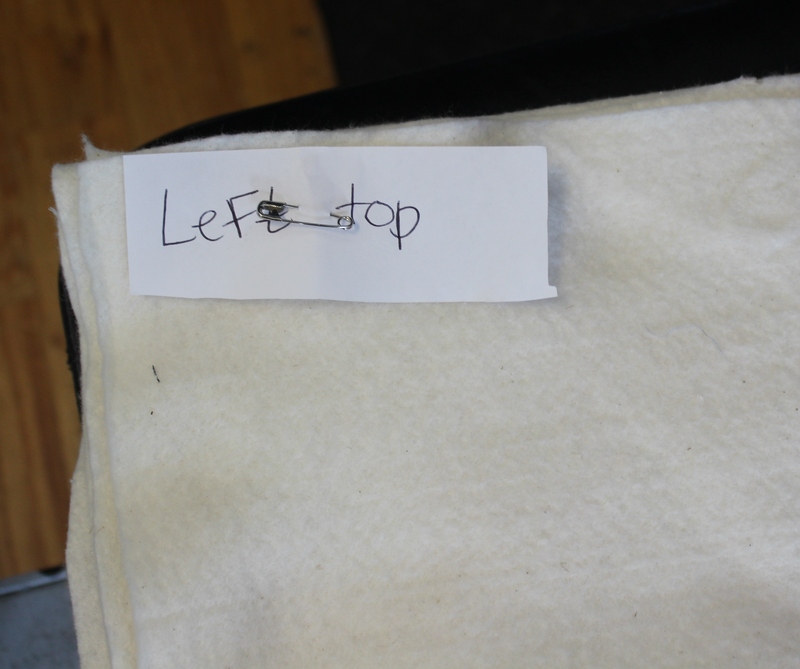 I’m trying “Low-Fat Quilting” first. 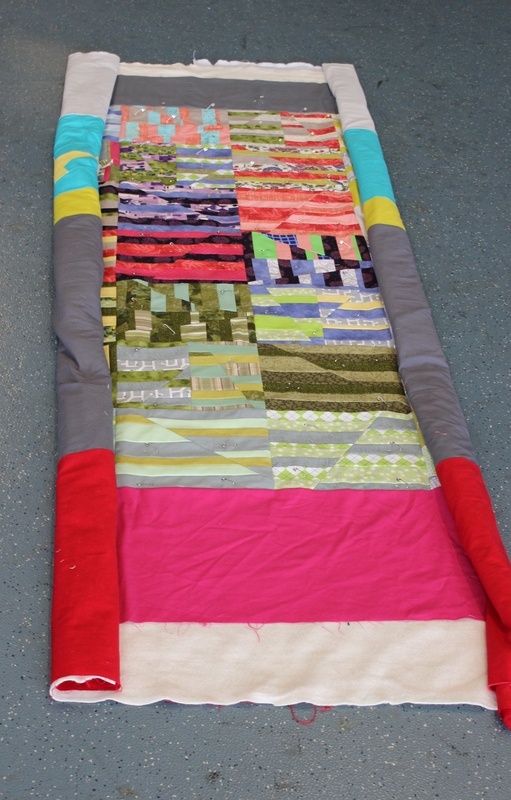 The back of the quilt, attached to the floor with duct tape. 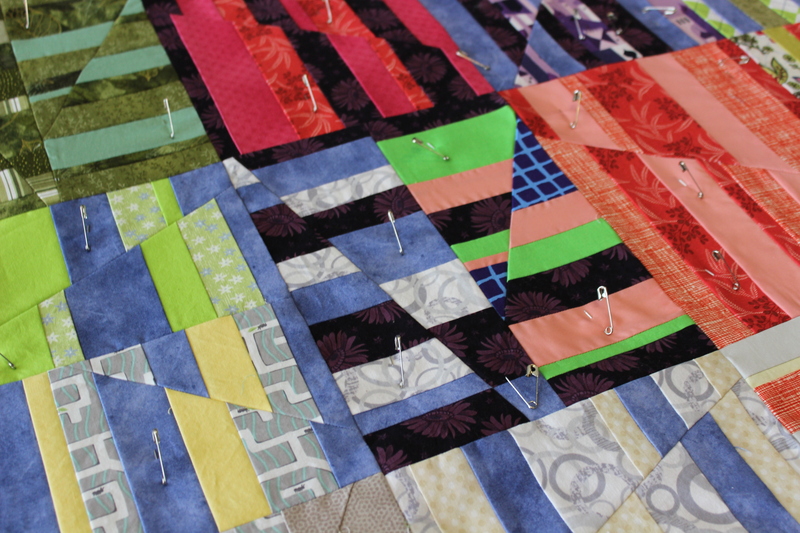 I pinned just the middle third of the quilt. 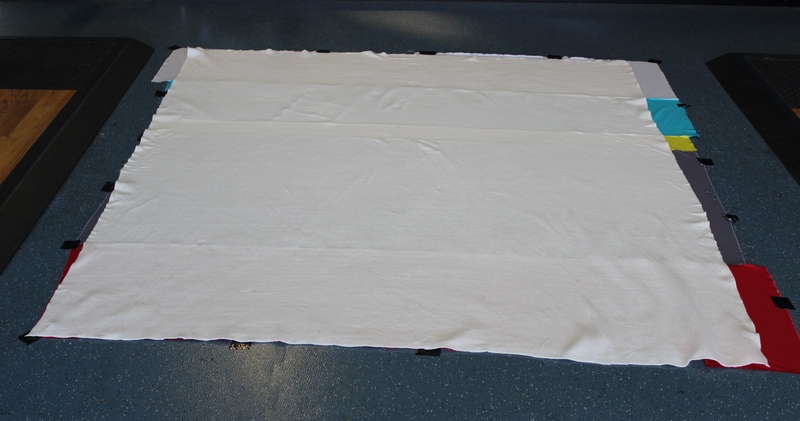 I pulled the top and back away from the batting and cut the batting in a wavy line with scissors — about 2 inches from the safety pins. 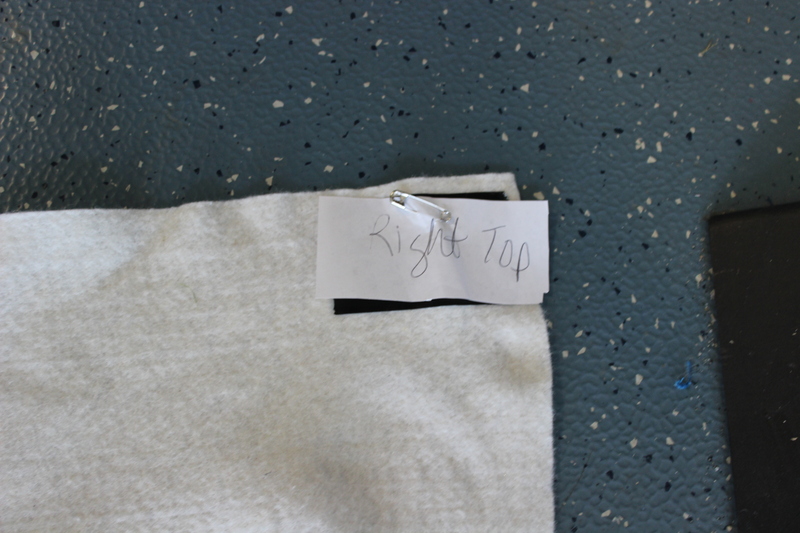 I marked the right top and left top so I can put it back the right way. I rolled it up. 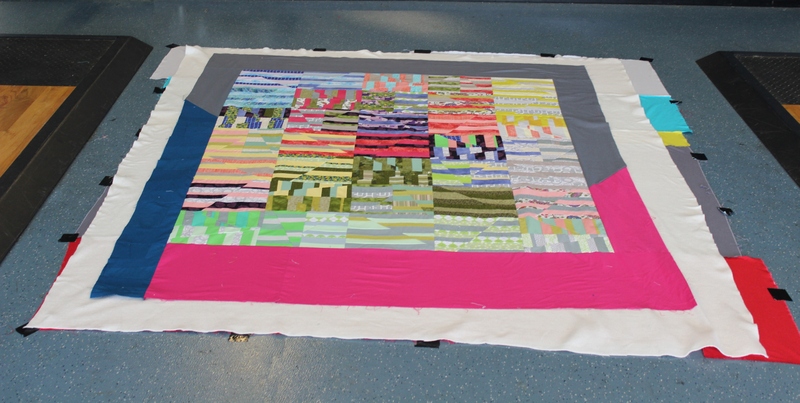 It’s ready for quilting. Stitch Fix and Project 333.